Hurricane Irma Update - St. Barth Has Been Open For Business Since November 2017! "Savaku" as seen post Irma. Who is Savaku? A freelance graphic designer in Paris, 27 year-old Guillaume Blanchard is the creator of “Savaku” the Arawak spirit representing the forces of nature, including hurricanes. 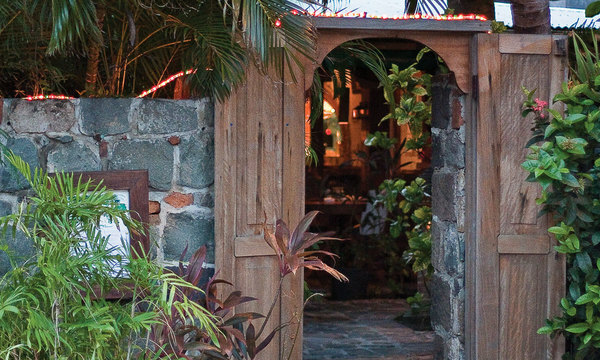 Savaku evokes the soul of St Barth, a metaphor for the island as envisioned by the artist. An Arawak Indian is standing on a rock, which seen from above is in the shape of the island. 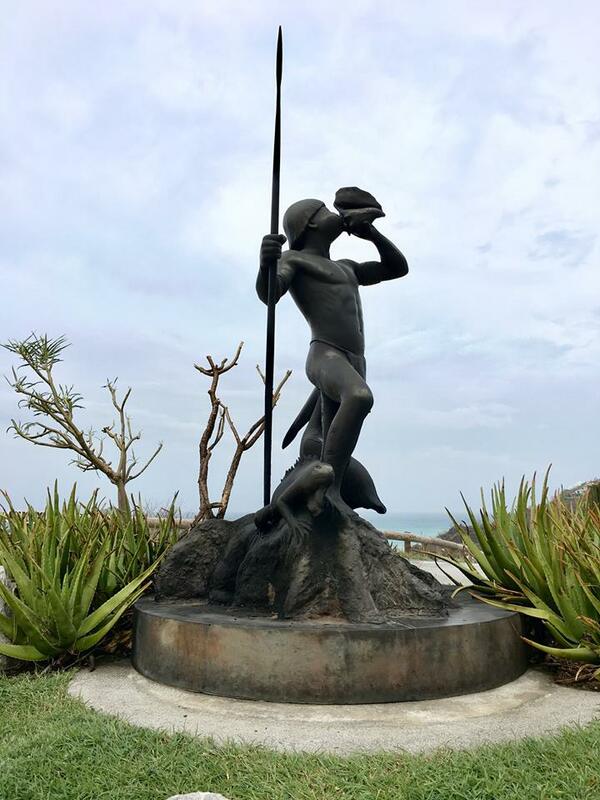 In his right hand he has a spear to defend his land, and he is blowing in a conch shell, which represents the cry of nature, a nature perhaps too often abused. He is accompanied by an iguana, which evokes the earth, wisdom, and patience. A pelican represents the official symbol of the island as well as air and the sea, which provides sustenance, as the people of St Barth have been fishermen since the earliest days of the island. For Guillaume, “the stance of this simply dressed warrior shows that he is proud of his island, as meager and difficult as it was then." First time visitors to this page are reminded to begin at the bottom of the page to follow the timing of updates as they have been posted. The majority of shops in Gustavia and St. Jean re-opened as originally scheduled in October & November. Opening Soon: Mayas (Spring 2018 TBA), Le Toiny Beach Club(Oct), Sante Fe (April/May). St. Martin Princess Juliana International Airport: OPEN On Wednesday October 4, 2017 The St. Martin Minister of Tourism & Economic Affairs Mellissa Arrindell-Doncher announced that Princess Juliana International Airport (PJIA/SXM Airport) will open to accept all commercial flights as per October 10, 2017. “We will be back in business,” the Minister said. The symbolism of the date was also important to the Minister, marking seven years since St. Maarten obtained its new constitutional status. On October 2, 2017 KLM had previously announced that its service from Amsterdam will resume October 29 and we expect additional airlines to follow suit with similar announcements. WINAIR expects to resume flights upon re-opening as well. 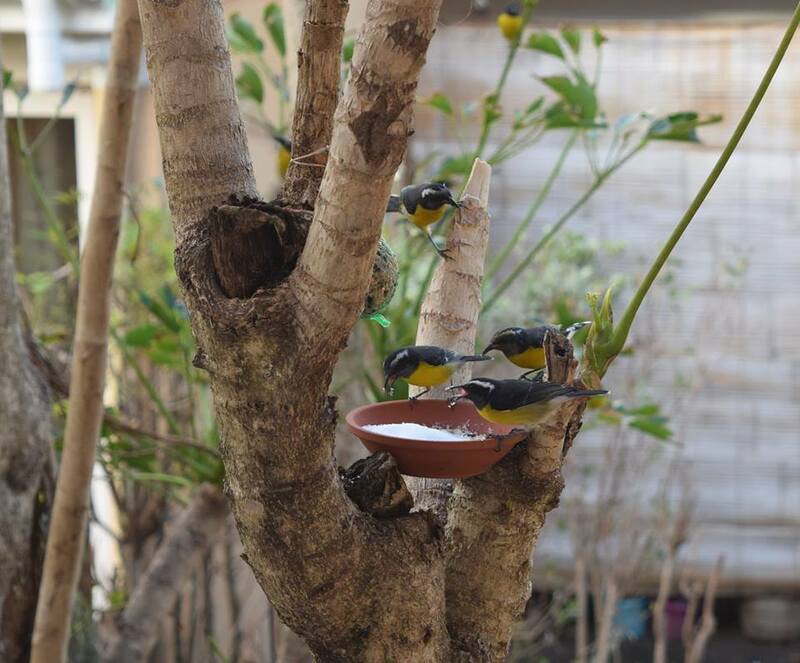 They are currently flying between St. Barth, Saba, St. Eustatius and St. Kitts. 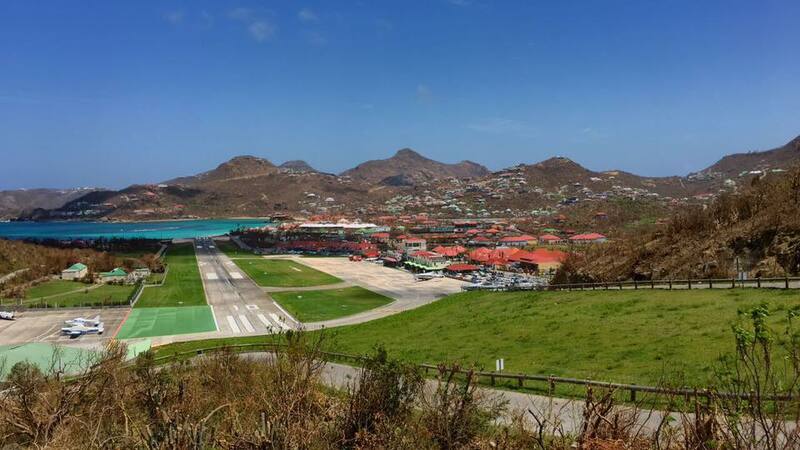 St. Barth Commuter is currently flying to the Grand Case Airport on the French side of St. Martin and expects to resume flights into Juliana Airport upon re-opening as well. Antigua Airport: OPEN Tradewind Aviation resumed its flights between Antigua and St. Barth and added additional flights for the high season. St. Thomas Airport: OPEN Tradewind Aviation resumed its flights between St. Thomas and St. Barth for the high season. 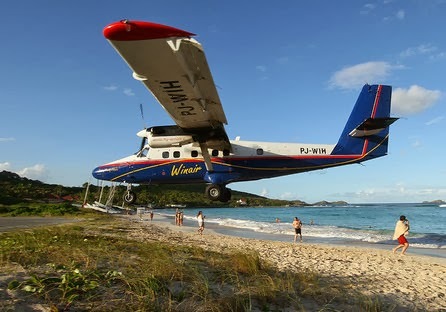 Nevis Airport: OPEN Tradewind Aviation resumed its flights between Nevis and St. Barth for the high season. Great Bay Express: Ferry service between St. Martin and St. Barth resumed October 13, 2017. 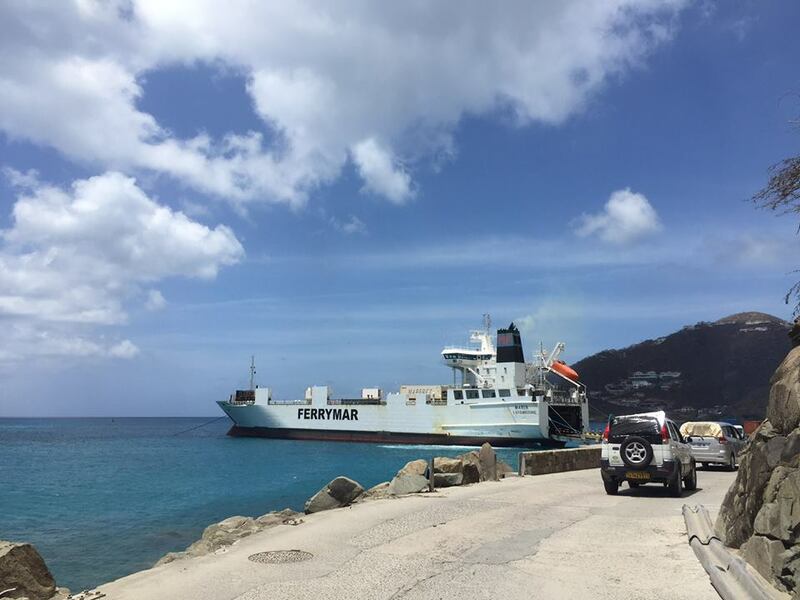 Voyageur Ferry Service: Ferry service between St. Martin and St. Barth resumed October 13, 2017. A large number of our villas were ready to accept their next scheduled guests in either November or December. Update 10-23-2017: After 7 weeks of incredible progress we are pleased to say this will be our final daily posting. Today the beautiful Villa Royal Palm (photo taken 10-23-17) welcomed our first guest since the passing of IRMA on September 6. This valued repeat guest will enjoy an 11 night stay. We will continue to update business and restaurant information at the top of this page but now feel our attention must return to preparing for guests arriving in the coming weeks as well as working with clients who are booking new stays for the coming season. 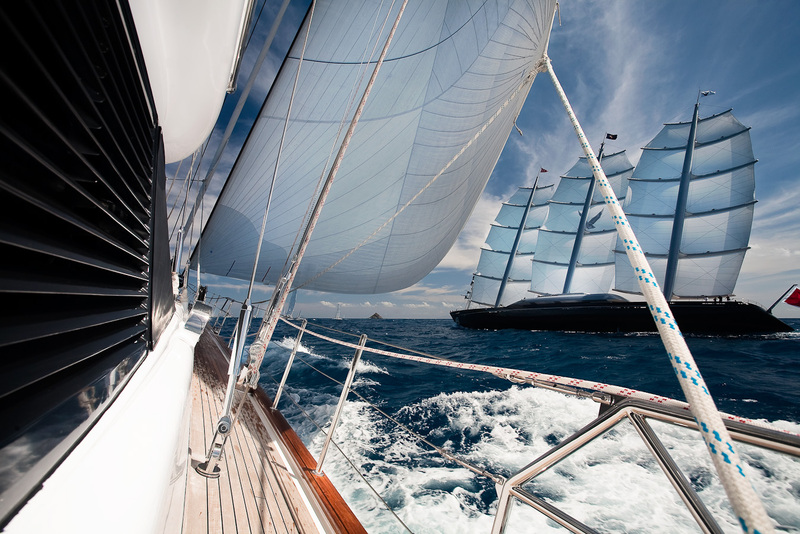 Update 10-19-2017: The St. Barths Bucket Regatta Committee had previously announced that the prestigious invitation-only regatta will take place as scheduled March 15-18, 2018. It was further announced this week that after releasing their initial round of invitations 25 yacht owners immediately responded with their intention to participate. Further rounds of invitations will follow and the fleet is expected to grow. Book your accommodations today if you'd like to witness this spectacular event in person. Read more on this event here. 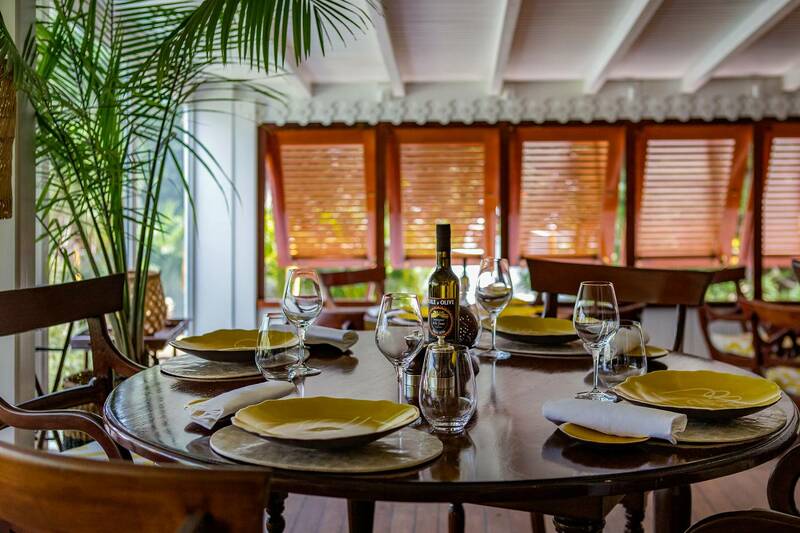 Update 10-18-2017: Hotel Villa Marie Saint-Barth announced that their lovely François Plantation restaurant will be welcoming clients again beginning in December for poolside lunches and dinners in its signature colonial and festive atmosphere. Want to take a swim in the pool? 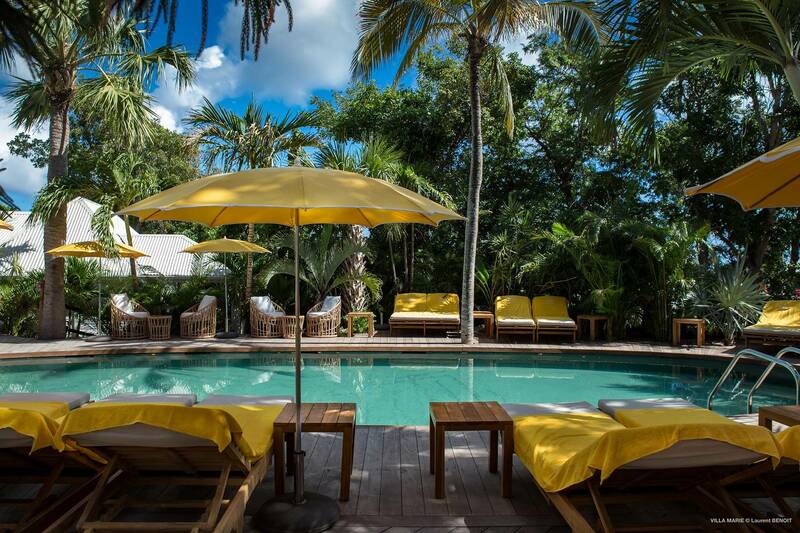 Our concierge can book pool chairs for you free of charge with a lunch reservation. As for the hotel, there is more work to be done on the rooms and a grand re-opening is slated for the Spring. 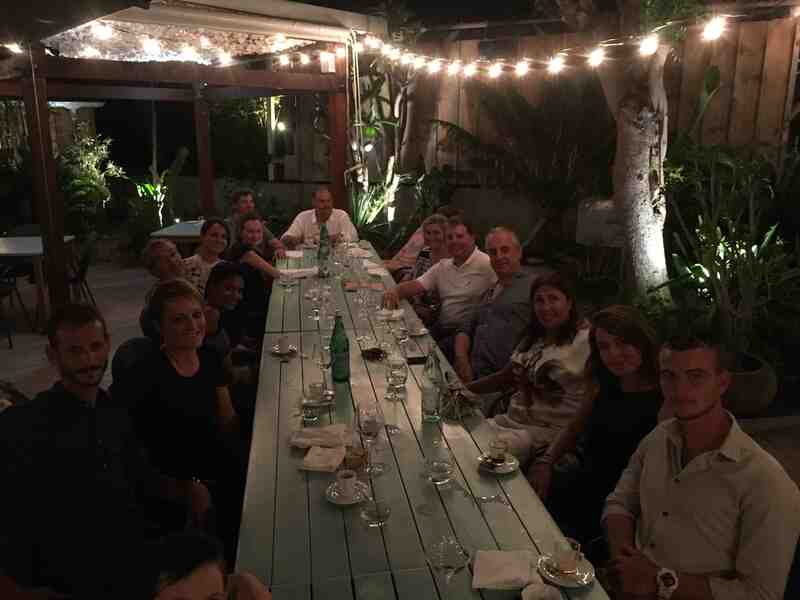 Update 10-14-2017: Pictured: Tom Smyth (Vice President of St. Barth Properties) along the local St. Barth Properties team gathered at L'Esprit de Saline for their opening night October 13, 2017. Tom reported that "It was wonderful to gather with the entire team after their hard work over the past 5 weeks. L'Esprit de Saline was in perfect condition, the restaurant was fully booked and as usual Jean-Claude prepared perfect meals for all." 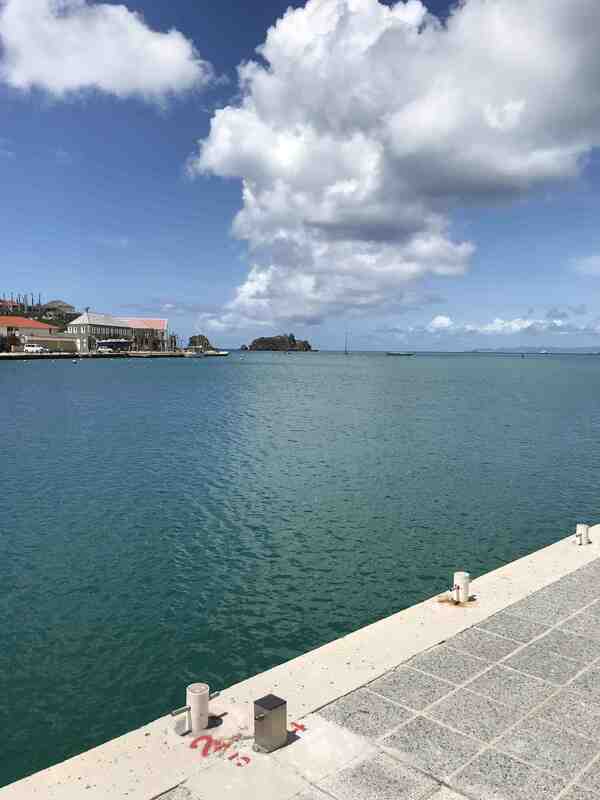 Update 10-12-2017: Gustavia Harbor as seen October 12, 2017. 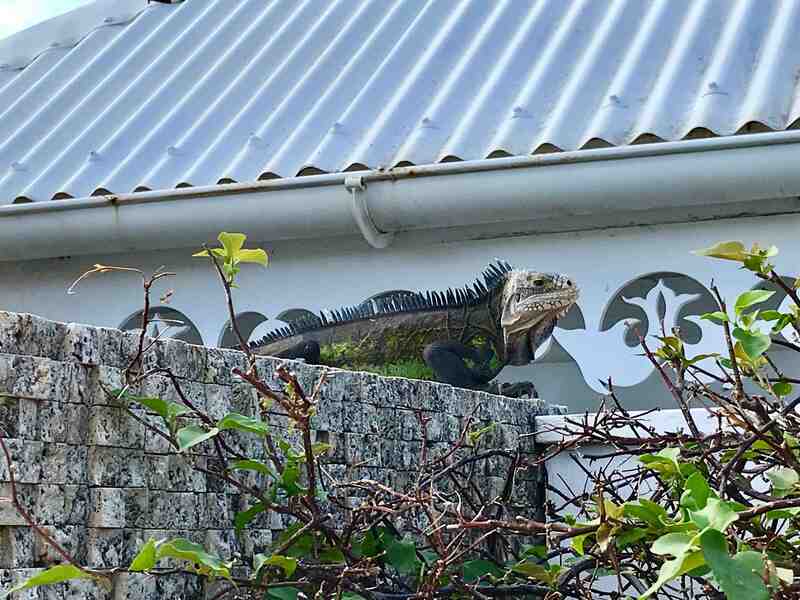 Photo taken by St. Barth Properties Vice President Tom Smyth during his time on island this week. Tom says "it is amazing to see how quickly a most of the foliage has recovered in just 5 short weeks. The taller Coconut trees have a longer way to go but in general the island is looking surprisingly well this soon after the storm." Tom spent time touring the island, visiting the private villas in our inventory and meeting with local business owners. He reports a positive trip and is feeling confident that St. Barth will provide guests a positive experience this season. Update 10-9-2017: Beaches are being cleaned and re-opening for nautical activities. Pictured: October 8, 2017 - Corrosol Beach before and after yesterday's cleanup efforts. (Photo credit: Dom Peter). 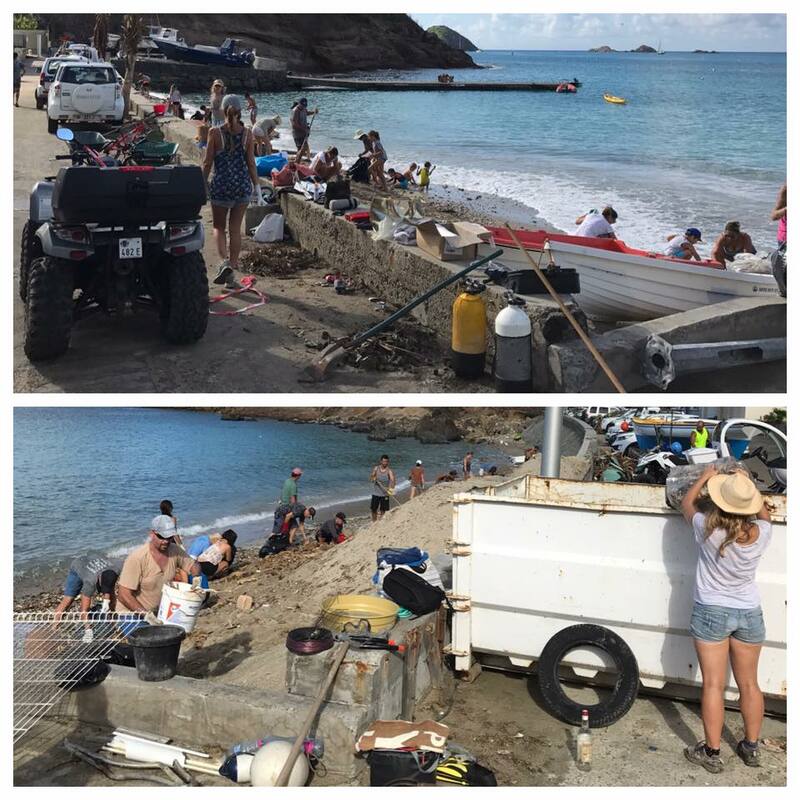 More than 80 people assembled in Corossol on Sunday to join forces in cleaning up the beach in this quaint area of St. Barth. At the same time the island had announced the completion of clean-up and re-opening of several beaches around the island including St. Jean Beach, Lorient Beach and Shell Beach. 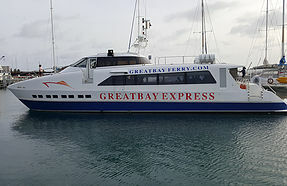 Update 10-7-2017: The Great Bay Express ferry service announced they will resume service between St. Martin and St. Barth October 13th. They will run 2 round-trips per day on Monday, Wednesday, Friday & Saturday. Departing St. Martin at 8 AM & 5 PM. Departing St. Barth at 9 AM and 6 PM. Update 10-6-2017: The Cata Cup announced today that the 10th anniversary edition of this annual event scheduled for November 13-20, 2017 will go on as planned! As it reads on their website, "The Saint-Barth Cata Cup will celebrate its 10th anniversary on November 13-20, 2017. To make it a truly great event, the organizers have decided to offer wild cards to all duos that have won this regatta since it was created. Intrigued by the idea to team up again with their winning partner—for some as many as nine years later—and one again compete in the waters of the Caribbean, the sailors who took first place between 2008 and 2016 will all be returning, with the exception of John Casey, who has been unable to confirm his participation. His former teammate, American sailor Dalton Tebo, will be present, partnering with Charles Tomeo, alongside such duos as Emmanuel Boulogne/Tanguy Kervyn, Mischa Heemskerk/Eduard Zanen, Enrique Figueroa/ Keki Figueroa, Franck Cammas/Matthieu Vandame, Morgan Lagravière/Arnaud Jarlegan, Patrick Demesmaeker/Olivier Gagliani, Pierre Le Clainche/ Antoine Joubert, and the 65 tandems selected at random from the 90 pre-registered. This 10th anniversary Cata Cup promises to put on a great show with serious battles for first place out on the waves!" Update 10-5-2017: (Photo credit: Valentine Autruffe / Le Journal St. Barth ) What a difference 30 days can make. Pictured is the road along St. Jean Beach. On the left is a day after Irma had passed and on the right is that same spot today. 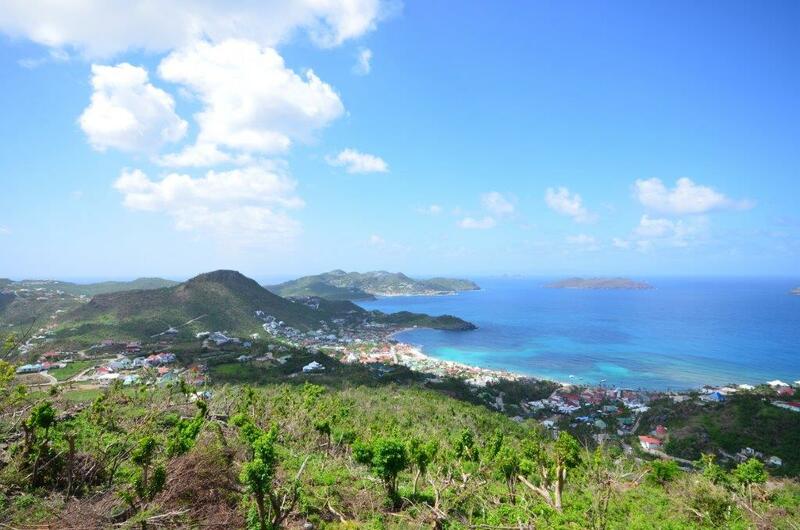 Bravo to the people of St. Barth for their courageous and hard work to bring St. Barth back! Update 10-4-2017: Photo taken 10-3-17. With life moving closer to normalcy, the focus now turns to preparing villas for the arrival of guests in November. Here we see the cleaning team is prepping Villa Aurore for its next arrival. Update 10-3-2017: Tradewind aviation announced they are now flying daily flights between San Juan and St. Barth and they plan to keep their full schedule for the 2017/2018 season. Additionally, they plan to add more flights between Antigua and St. Barth this season to offer clients more options. 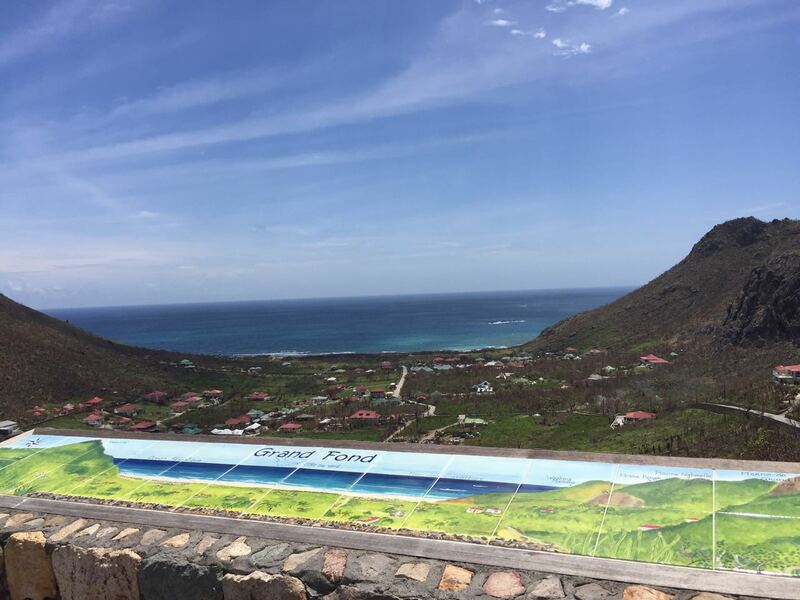 WINAIR also announced that they will resume commercial flights on October 6 between St. Barth, Saba, St. Eustatius and St. Kitts with the possibility of adding other destinations as well. Update 10-2-2017: Pictured: Gustavia was its usual beautiful and peaceful self this past Sunday. Photo taken October 1, 2017. More good news on the the dining front has come in as La Bagatelle restaurant shared with us that they target to re-open December 15. Michael Hyman, Acting CEO of the St. Martin Princess Juliana International Airport stated in a press release that "the airport should be able to start receiving commercial flights shortly". KLM was the first to announce that it's service from Amsterdam will resume October 29 and we expect additional airlines to follow suit with similar timing. 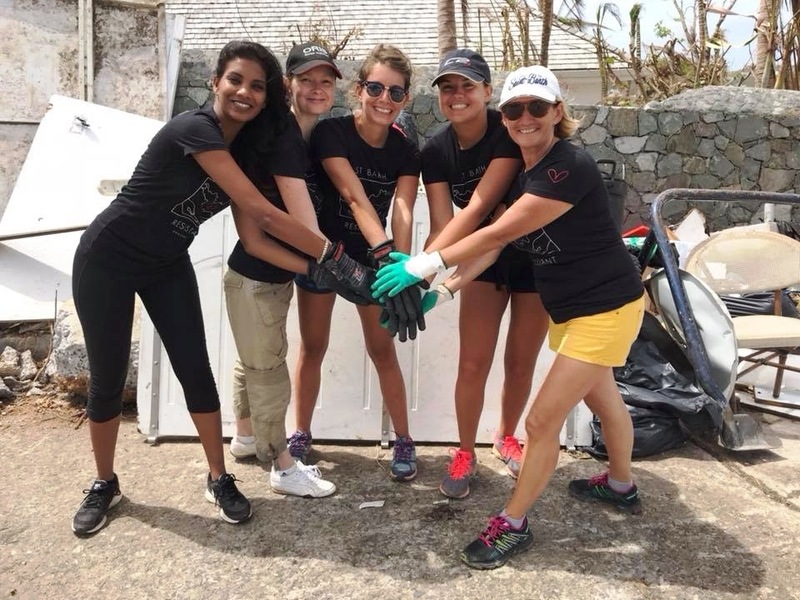 Update 9-30-2017: Pictured: The St. Barth Properties team joined 100+ volunteers who hit the hills this weekend to cleanup a variety of debris left further away from the main roads. A resident Iguana decided to serve as "Supervisor" to be sure the work was completed! The island continues it's path to be ready for tourists at the end of the month. Update 9-28-2017: Pictured: Streets of Gustavia 9-27-17. Store owners are hard at work preparing for the season. With each passing day the hard work continues and the island moves towards a general sense of normalcy. Update 9-26-2017: Eddy's Restaurant (pictured) has confirmed they will re-open as normally scheduled on November 1st. Hotel Les Ilets de la Plage has announced they are targeting to re-open on November 15. Salines Garden Cottages target to re-open November 1st. Update 9-25-2017: Pictured: The Grand Fond lookout on 9-24-17. 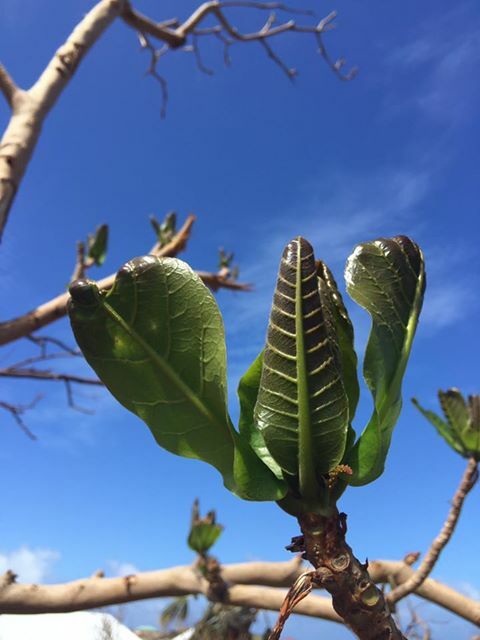 Day by day and with each passing shower the foliage continues to recover as "green" steadily returns to St. Barth. The San Juan airport has reported only minor damage from Maria. We are happy to hear that a supply flight from Miami landed on Friday and that the airport expects to be up and running quickly. At the same time we send our thoughts and prayers to those in San Juan who were more seriously impacted. Today we are busy moving back into our Gustavia Harbor offices and continue to visit and assess all of our private villas. 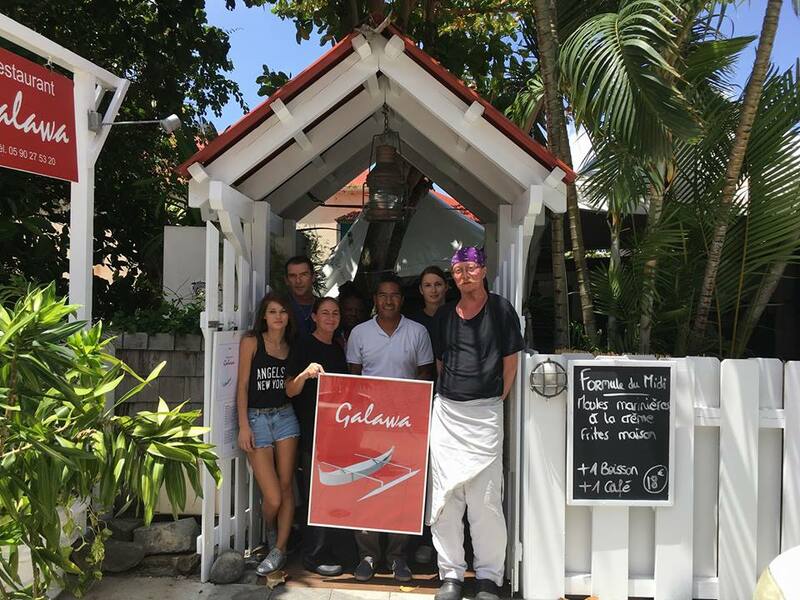 Update 9-23-2017: The Galawa Restaurant (former Pipiri) has re-opened in Gustavia. Serving lunch 11:30-3:30 everyday except Sundays. Photo taken week of 9-18-17. 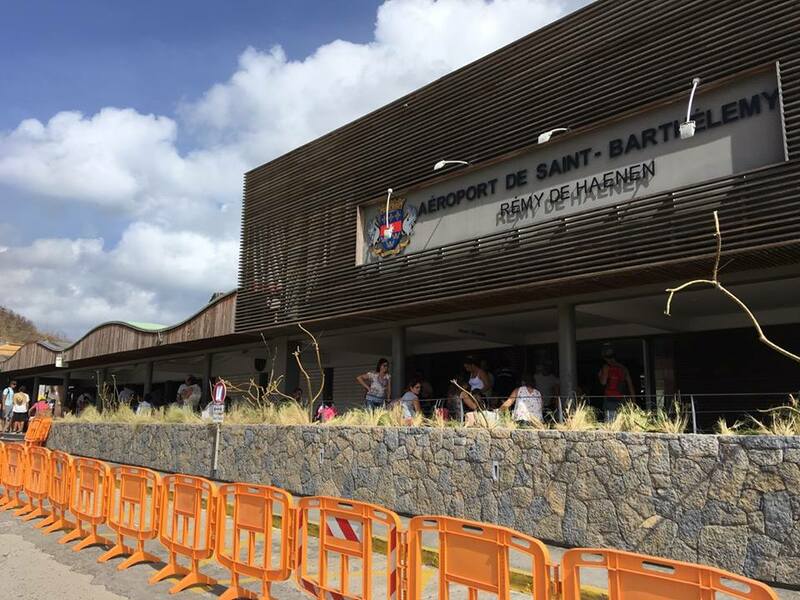 The San Juan airport re-opened after Hurricane Maria with an American Airlines flight from Miami arriving on Friday afternoon. Officials said "terminal buildings suffered minor damage” in sections that had been out of operation even before the storm. “Airport infrastructure is insured against these events, therefore the company does not expect significant economic impact,” manager Grupo Aeroportuario del Sureste said. This is great news for St. Barth as connections won't be interrupted. Update 9-22-2017: The St. Barth Properties on island team is hard at work logging reports on each and every property in our portfolio. We are thrilled to find so many with little or no damage that will be ready for our November clients. 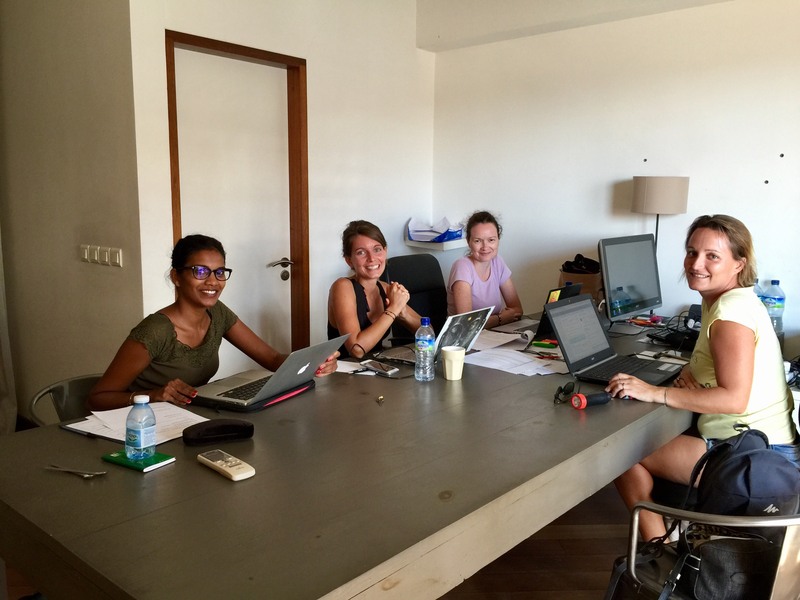 Thank you to the team for all of their amazing hard work over the past two weeks! Also, thank you to Cyphoma for so graciously providing us with temporary office space while we have prepared to re-open our own offices, which we are happy to announce will be on Monday September 25. Today the President of St. Barth, Bruno Magras, published a temporary override to the building permit process which eliminates any delay for property owners to begin repairs. Update 9-21-2017: The St. Barth Tourisme office announces via social media in regards to the steady progress of work and business openings and officially states they target October 30, 2017 to welcome tourists. Update 9-20-2017: Les Voiles de St Barth has announced the race is on as scheduled per the following statement. "Mother nature has been raging wild in the Caribbean this season with Hurricane Irma and now Maria, but it is with strength and determination that we will bounce back in short order to make this part of the world as welcoming and wonderful as it was before. 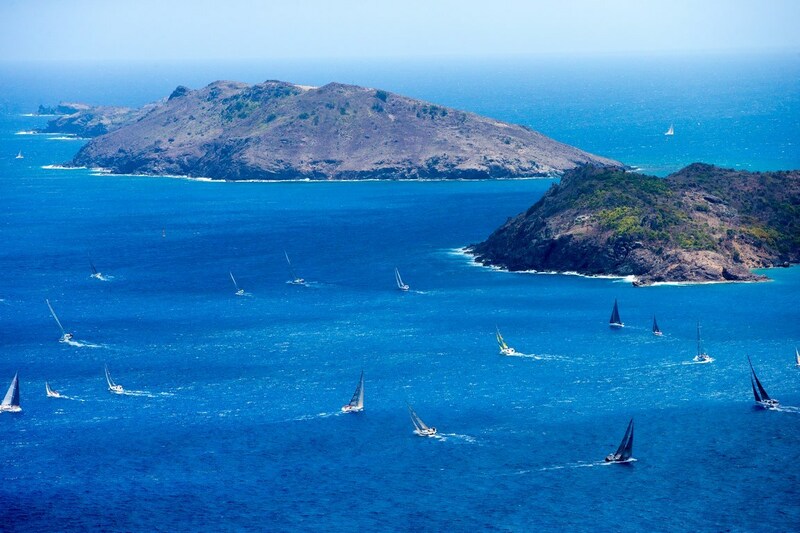 The 2018 Les Voiles de St. Barth will go on as planned, scheduled April 8-14. 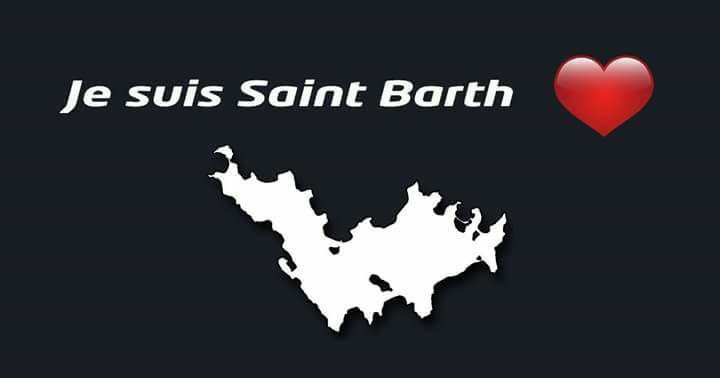 A great way to show your support for our beautiful St. Barth is by visiting and competing! Registration is open, so make sure to sign up at their website here." Update 9-19-2017: Pictured: The Yellow Bellies have emerged and partake in a little snack. Photo credit "Le News"; taken week of September 18, 2017. Hurricane Maria is passing 100 or so miles southwest of the island today sparing St. Barth from any danger while delivering welcome rain for local foliage. Our thoughts are with those in her path and hope everybody remains safe. In St. Barth progress continues as more restaurants continue to open with Au Regal, L'Ardoise, Island Flavors, and Bistro Josephine joining the list. We hear Mayas and Le Tamarin are two more added to the list of those preparing themselves to open for November. Telephone, Electricity & Internet continue to roll out steadily to more areas. We continue to work with property owners and managers to gather information and conduct inspections on properties in an effort to establish re-opening dates on each. We are pleased to report that many will be ready for guests in November. Check back often for more updates. Update 9-18-2017: Pictured: St. Barth's beauty is beginning to reveal itself one leaf at a time. Photo taken September 17, 2017. An impromptu party emerged in the streets between Bar L'Oubli and Le Select on Saturday night as a band played and hundreds of residents celebrated their hard work and resilience. Les Bananiers in Colombier has re-opened with take out service available. Shop L'Attitude in Gustavia has resumed normal business hours. Restaurant Galawa (formerly Pipiri) has announced they will re-open soon. Telephone, Electricity & Internet continue to roll out steadily to more areas. More good news to come. Thank you. Update 9-16-2017: Pictured: Airport & St. Jean Bay. Photo taken September 15, 2017. 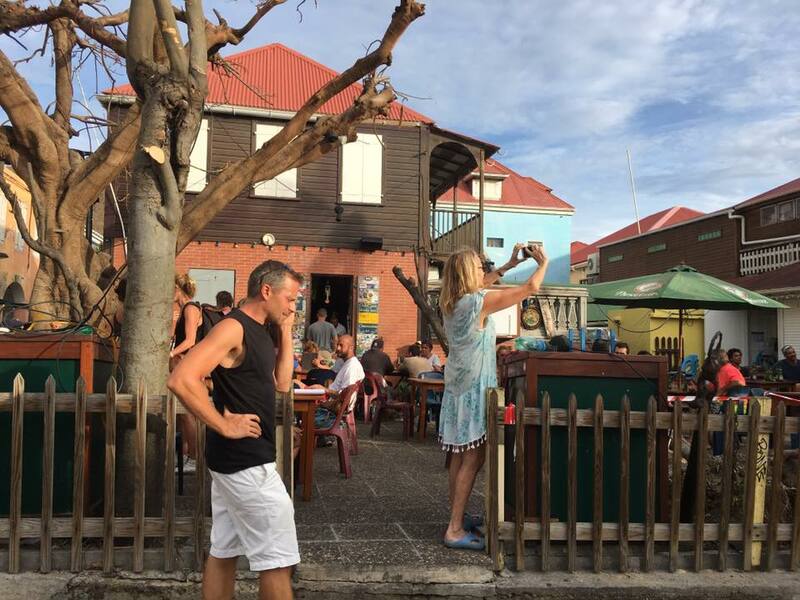 Bar L'Oubli in Gustavia has re-opened. 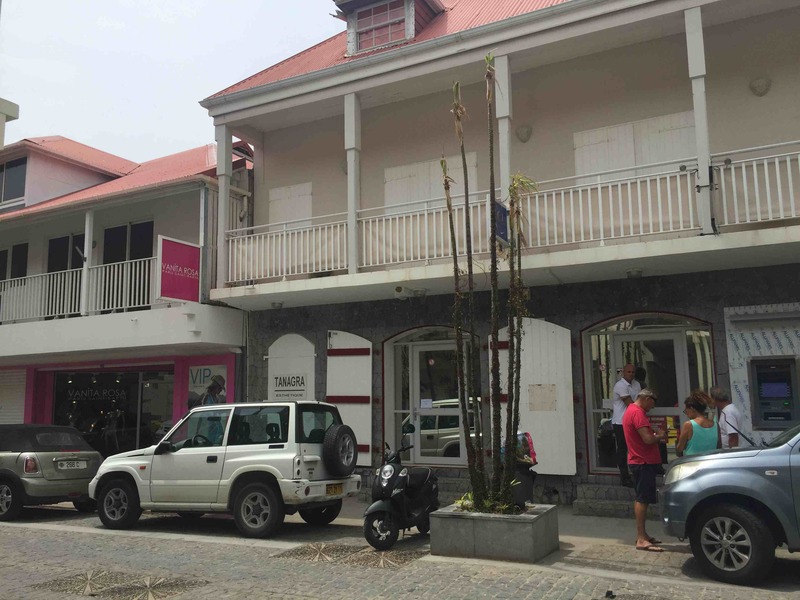 The furniture and decor shop Villa Victoria has re-opened in Gustavia. Electricity & Internet continue to roll out to more areas. 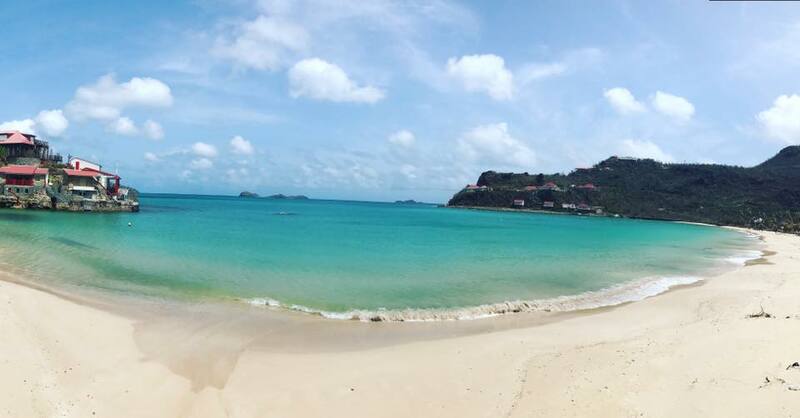 Minute by minute cleanup progresses and St. Barth continues to reveal its beauty in anticipation of welcoming tourists back in November. We will continue to post updates as they are available. Please stay tuned for much more to come. Thank you. Update 9-15-2017: Pictured: Le Select has re-opened. Cheeseburger in Paradise anyone? Electricity and internet continue to roll out area by area. The Super U and AMC grocery stores in St. Jean are both open and stocked. All roadways are operational. Teams are hard at work to restore telephone services island-wide. Black Ginger, L'Isola, Orega all targeting November openings. Work continues at a steady pace island-wide. More to come. Thank you. Update 9-14-2017: Pictured: The airport has re-opened to commercial flights and airlines are moving supplies and people at a steady pace. David Zipkin, co-owner of Tradewind Aviation who has been flying regular relief flights since the runway was cleared was quoted as saying, “St Barths was hit hard but there is strong will there and desire to rebound quickly, I am encouraged by the progress we’ve already seen and optimistic that a great winter season is still possible and indeed likely.” Also, electricity and internet continue to come on in more areas. The supermarket in St. Jean is open and re-stocked as ships steadily arrive with supplies. Bakeries have re-opened in various locations island-wide. St. Jean gas station is fully operational. Spirits are high as cleanup and repairs begin with a clearer focus on the tourist season which will not be lost after all. More updates as they come in. Thank you. Update 9-13-2017: Pictured: Supplies stream in to the island. 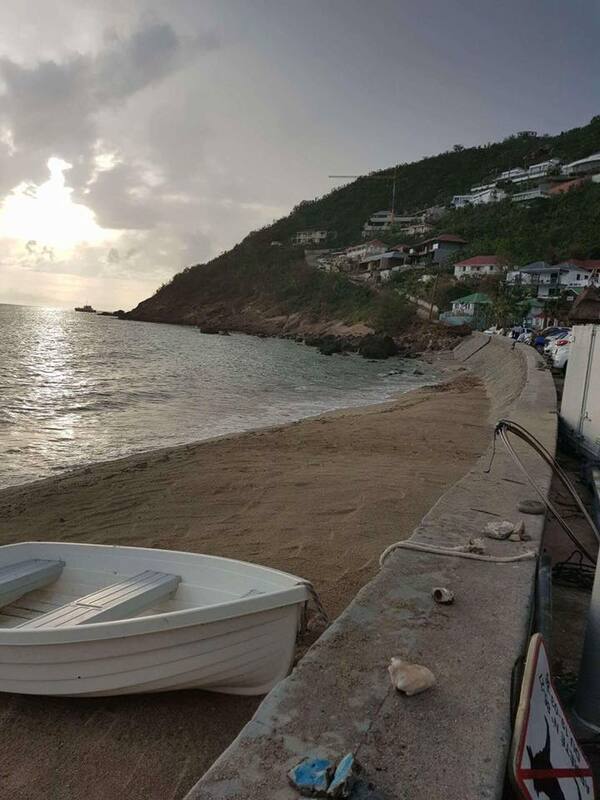 The Collectivity has posted that they expect water production to be back to 90% of the island by Sunday September 17 and thanked their team for all their hard work. The St. Barth Properties Sotheby's International Realty office (separate from our rental office) was found to have a bit more water inside and cleanup is underway. The residents remain united and hard work continues. With every passing moment their work reveals itself as St. Barth starts to look more and more like its beautiful self. More updates as they come in. Stay tuned. Update 9-12-2017: Pictured: Flowers begin to show themselves again. Communication remains difficult but gets better with each passing moment. St. Barth Properties rental office was not damaged having suffered only minimal water penetration under the door. With our computer power outlets built into the floor we must dry them out before turning the power back on. Electricity has been restored in Gustavia and Saint Jean with more to come. 25 Quarter restaurant and bar in Gustavia was open last night serving drinks! Bistro Josephine in Gustavia has re-opened for restricted hours. The Commerical port is open and receiving supplies. Roadways are operational. Normal garbage collection has resumed. Internet services are being restored with more coverage with each passing day. Teams are in place and working to restore telephone services. A general sense of normalcy is expected by the end of next week. City water production is underway. More updates as they come in. Stay tuned. 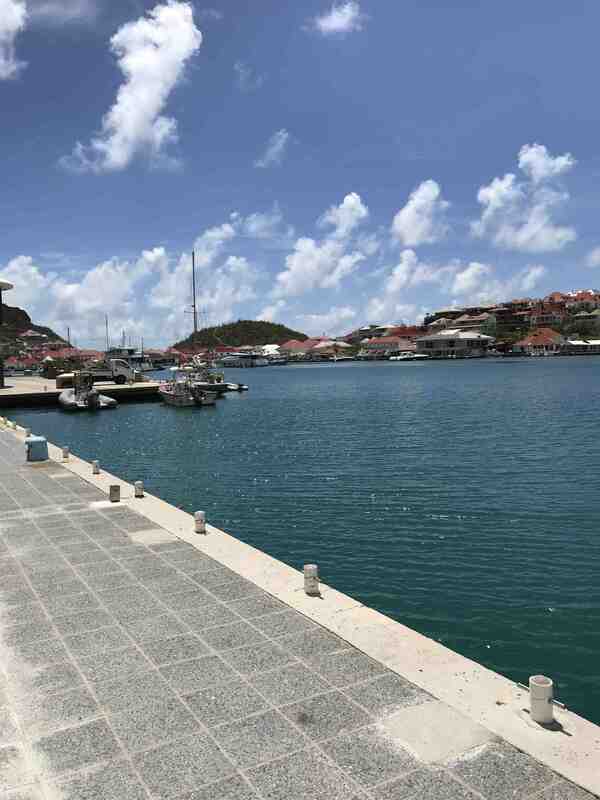 Update 9-10-2017: Pictured: Gustavia Harbor September 10, 2017. Spirits remain strong as demonstrated by a Marching Band who surfaced in the streets yesterday to celebrate that St Barth was spared by Jose which passed to the North providing the residents of St. Barth a well deserved sigh of relief. The French Army has arrived with heavy equipment and supplies. Cleanup efforts continue and the results are immediately visible. The main generators of the power plant remain shut down (not damaged) while necessary steps are taken to prepare to bring them back online. The Collectivity of St. Barth has announced that on Monday September 11 the commercial port will re-open with ships delivering supplies and re-stocks of food, trash pickup will resume island-wide, the incineration plant will go back online and gas will be available to residents to re-fuel vehicles. Thank you to all who have sent their well wishes and concerns. More updates to come. Update 9-8-2017: We are pleased to share that our entire staff has been accounted for and all are safe. 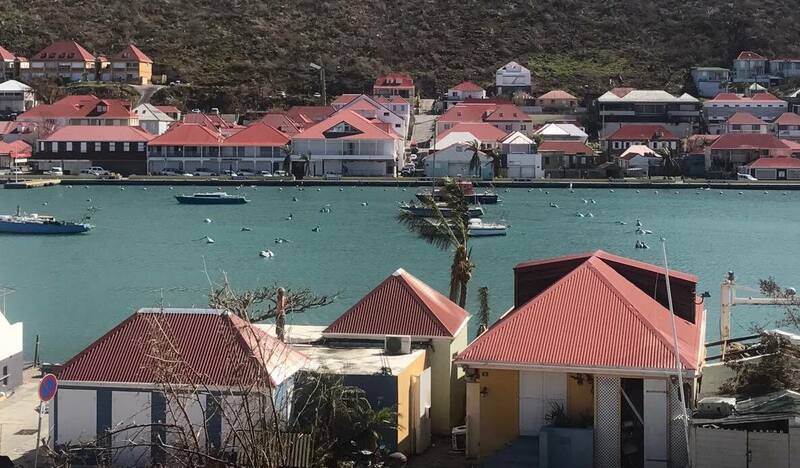 Pictured: Gustavia Harbor September 8, 2017, roughly 72 hours after the peak of the storm. This image shows a plane is landing with supplies, a majority of buildings are intact and recovery and clean up efforts have begun. While work is underway to restore critical infrastructure, communication systems on St Barth are still out with only spotty cellular service just starting to come back up. This continues to limit the efficiency in which we can gather and share information with our clients. As today's photos shows, the sun will shine, the debris will be cleared, repairs will begin and the beautiful island we all love will reveal itself once again. We will continue to provide timely updates as information becomes available. Thank you once again for your patience. Update 9-7-2017: Thank you to all our friends who have had our beloved island in their thoughts and prayers throughout Hurricane Irma. While we are still assessing Irma's impact, we are grateful to see that the water has receded and that people on the island are checking in on social media saying they are safe. 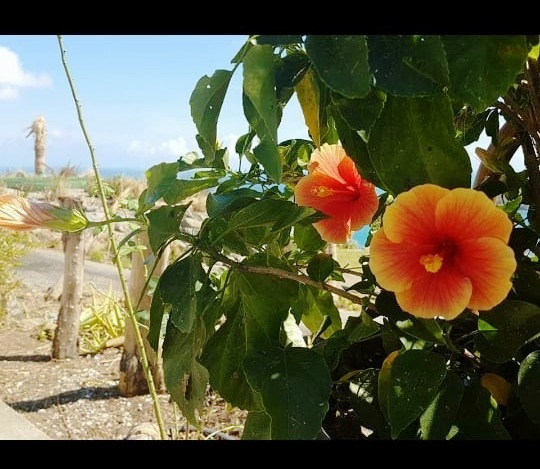 We successfully made arrangements for our clients who were on the island in the last week to leave and be out of harm’s way. 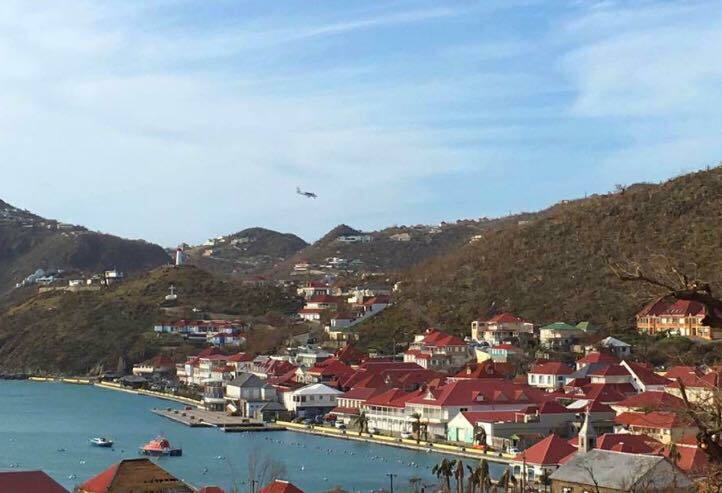 St. Barth is resilient and will recover. The French and local Governments possess the resources to assist with a speedy cleanup and path to recovery. Progress will take shape coming days and weeks and we will keep you informed. 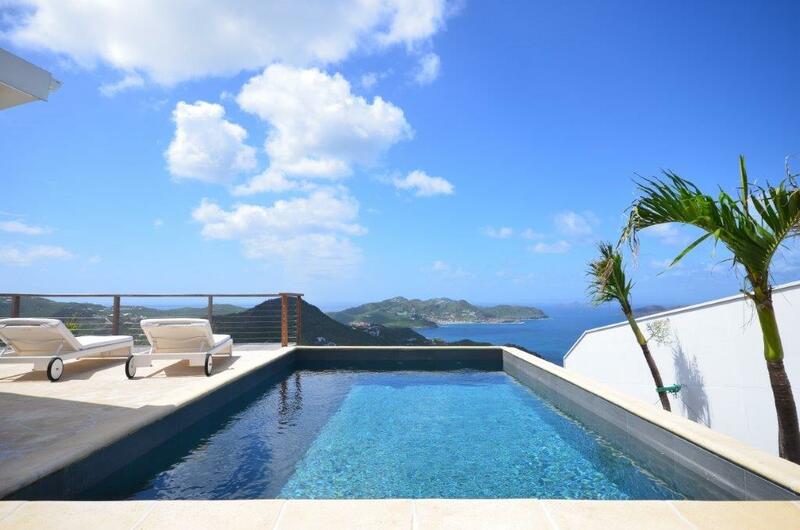 The entire St. Barth Properties team thanks you for your support.